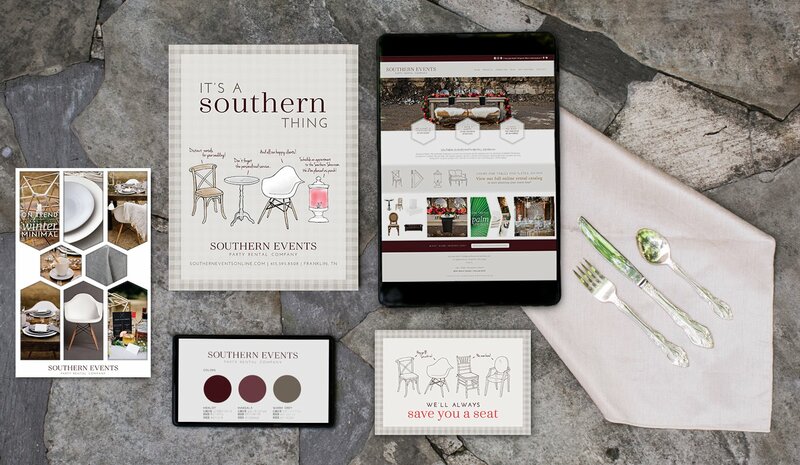 To keep their business fresh and on-trend, Southern Events Party Rental Company partnered with Path & Compass and Krista Champman for strategic marketing, business guidance and brand refinement. 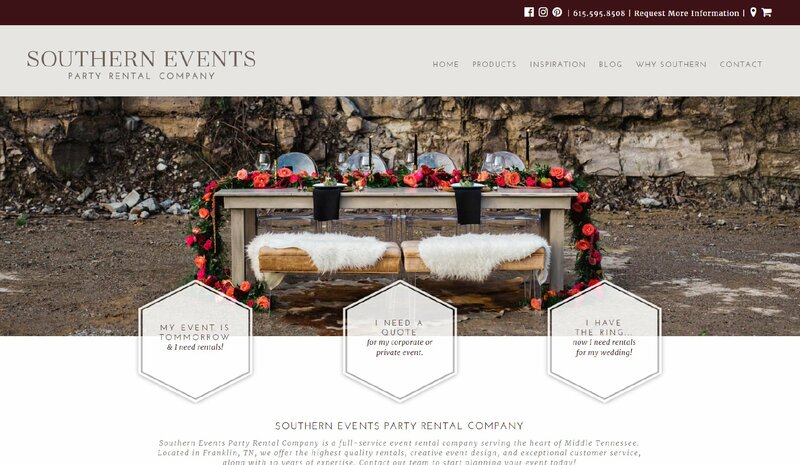 With a strong new website design, brand and logo, and on-going marketing partnership, Southern Events Party Rental stands out as a leading rental company for Franklin, Nashville and the rest of middle Tennessee for over 10 years. 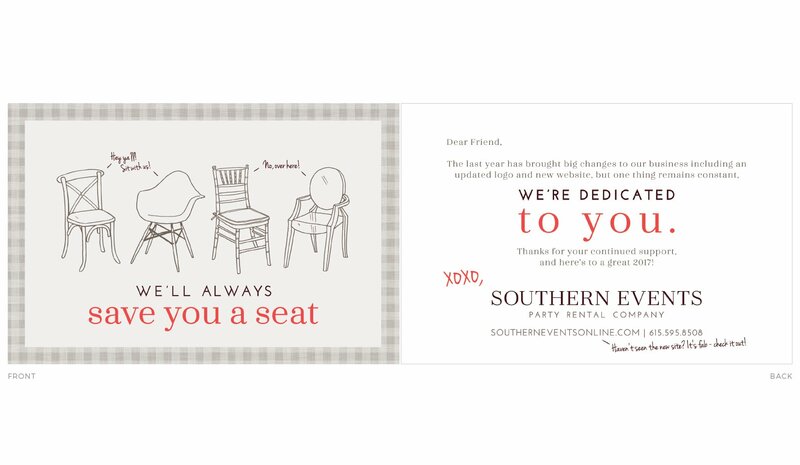 Southern Events Party Rental has been in the business of providing distinct event rentals to Franklin and Nashville for over 10 years. To keep their business fresh and on-trend in the ever-changing events industry, they partnered with us for strategic marketing and brand refinement. 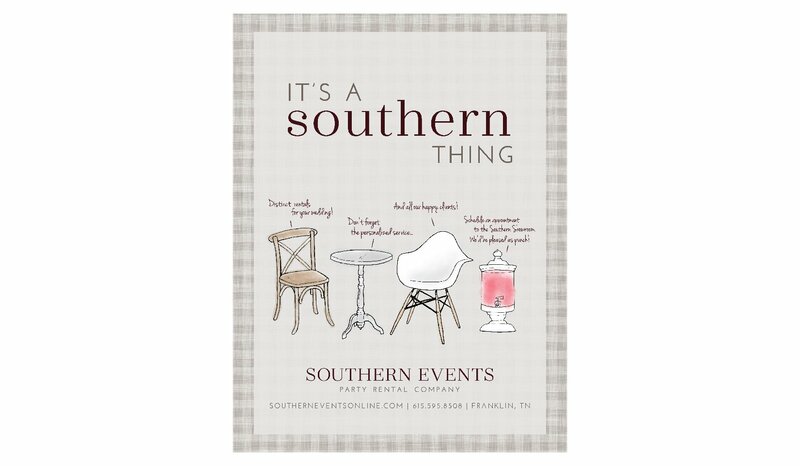 With a strong online presence and stellar reputation, Southern Events Party Rental stands out as a leading rental company for middle Tennessee. 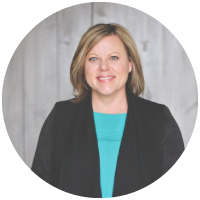 Krista has the ability to view your company’s best interests with an outside perspective. She knows her stuff and has the insight to take you to the next level. She offers a different opinion and cuts through the crap. She knows the bottom line isn’t all that matters and seeks first the passion, mission and values to ensure those are instilled in all things our company does.